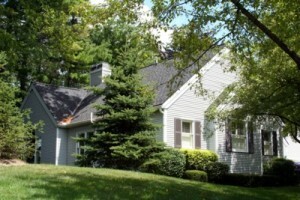 Heritage Ridge Condos, Ann Arbor is a small collection of spacious unit in a private setting. The location is great, close to downtown Ann Arbor, University of Michigan hospitals and campuses, golf courses, and residents can walk to Gallup Park. There are currently 0 units for sale and 0 have sold so far this year. Due to the small size of Heritage Ridge, condos are rarely listed for sale and tend to sell very quickly. 1 condo sold in 2008 for $368,000 and $120.58/square foot. 1 sold in $2009 for $430,000 and $136.51/square foot. To receive instant notification of newly listed condos at Heritage Ridge, or the nearby Geddes Lake, Oakridge, or Oslund condos, contact the real estate experts at The Bouma Group today at 734-761-3060 or info@bouma.com. And to see what’s currently for sale at any Ann Arbor area condo complex, visit the Ann Arbor Condo Hotline, Washtenaw County’s premier source for info!